If you own a motorcycle in New York, you are required to obtain motorcycle registration and title immediately after purchase. The New York Department of Motor Vehicles puts motorcycles in the category of motor vehicles. So the process of motorcycle registration is similar to that of registering a car. However, the two processes differ slightly. First, a motorcycle is registered for 1 year, while a motor vehicle is registered for two years. Second, the expiration date of a motorcycle registration is April 30, while a motor vehicle’s registration expires at the same month it was registered. Also, all motorcycles must be taken for safety inspection annually at a licensed inspection facility. Normally these inspection facilities have a yellow and black sign which is an official New York motorcycle inspection station sign. If you purchase a motorcycle from a dealership, the dealer will handle the inspection requirement on your behalf. If you purchase it from a private seller, it is your responsibility to take it for inspection within 10 days of purchase. 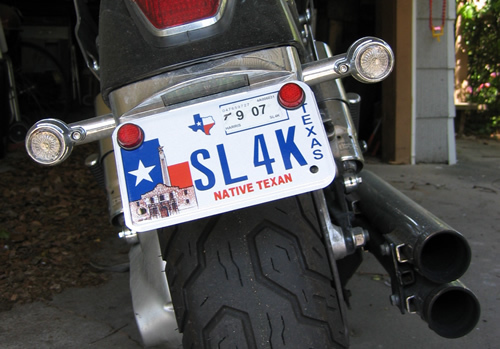 Also, for motorcycles, one license plate is issued instead of two that are issued for motor vehicles. Returning license plates to the licensing department isn’t a requirement when you terminate liability insurance for your motorcycle. Odometer and damage disclosure statements. Completed form FS-20 (NYS Identification Card). Proof of identification and date of birth. A completed Form MV-82 (Vehicle Registration/Title Application). Cash, check, money order or credit card to pay the $50 title fee, registration fee, and $12.50 license plate fee. Proof of sales tax payment, purchase price, bill of sale or sales tax exemption for tax calculation purposes.